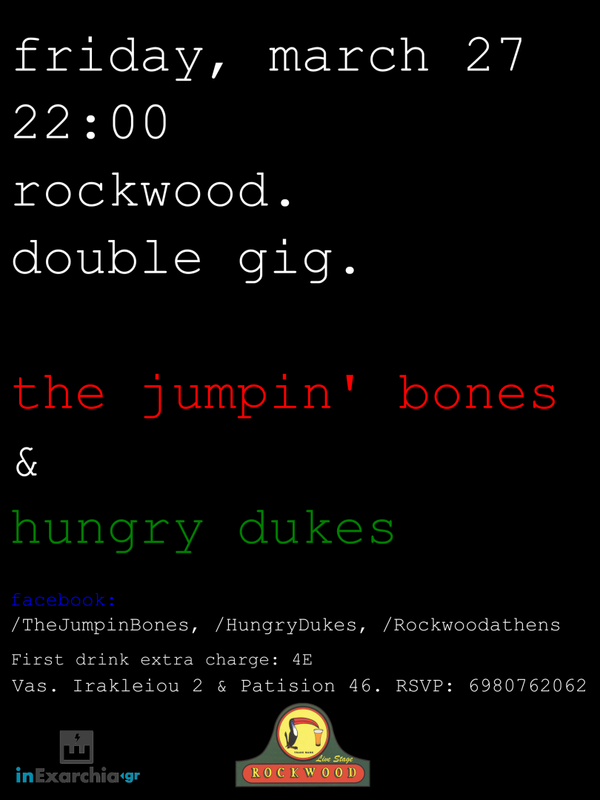 We return to Rockwood Live Stage, one of the best pubs in downtown Athens, for a double gig with our friends Hungry Dukes! This coming Friday, March 27th at 22:00.See you there! ← Great night at Half Note!